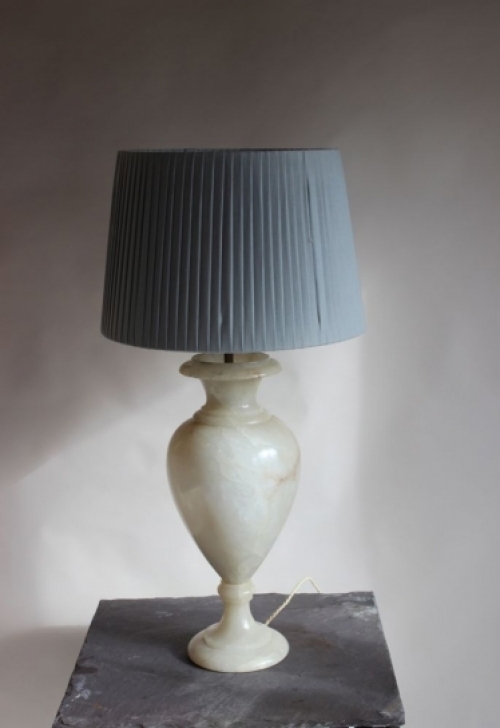 Our antique table lamps are a big part of sales and at this time of the year are very popular . 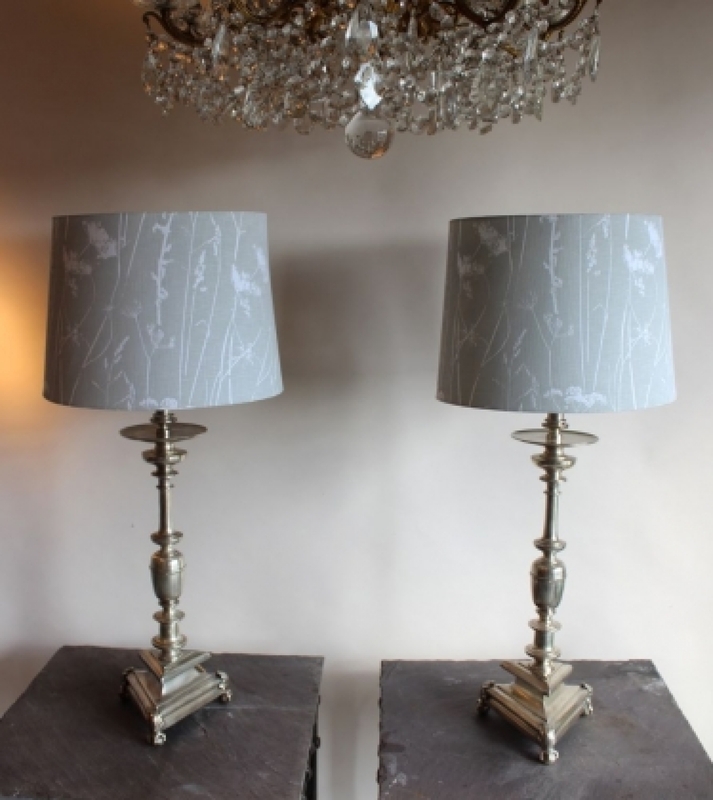 We try where possible to preserve the shades and reline them when we can , but generally we sell the lamps with new shades and take no profit on the shade item itself . For larger lamps we provide shades at cost . 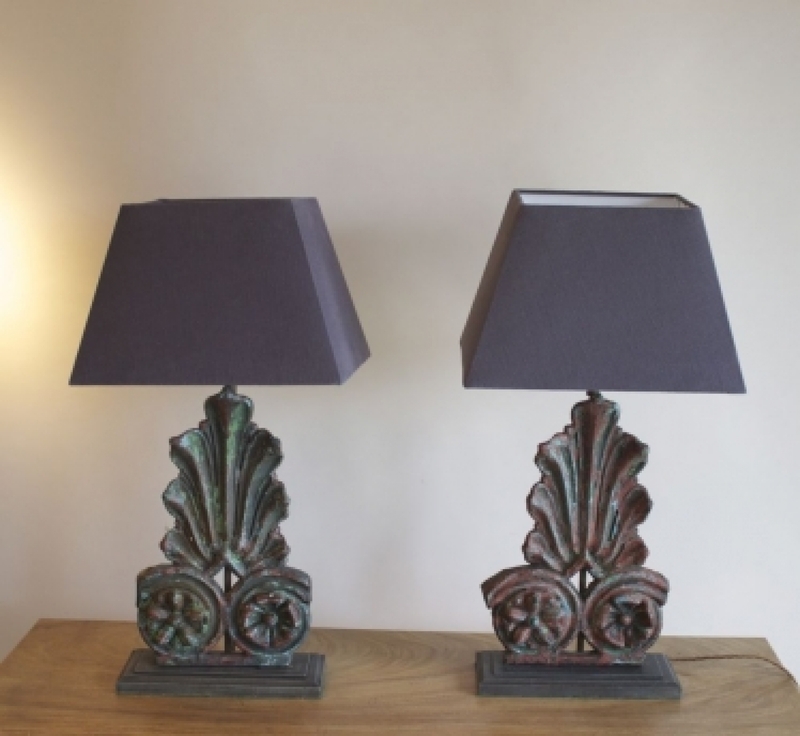 Most of the table lamps we sell are metal or wood , some reclaimed from old balconies where we make the bases and sort out the styles that they will eventally be , the colour of the balconies and baludstrading is important and good old paint finishes waxed over always look lovely . 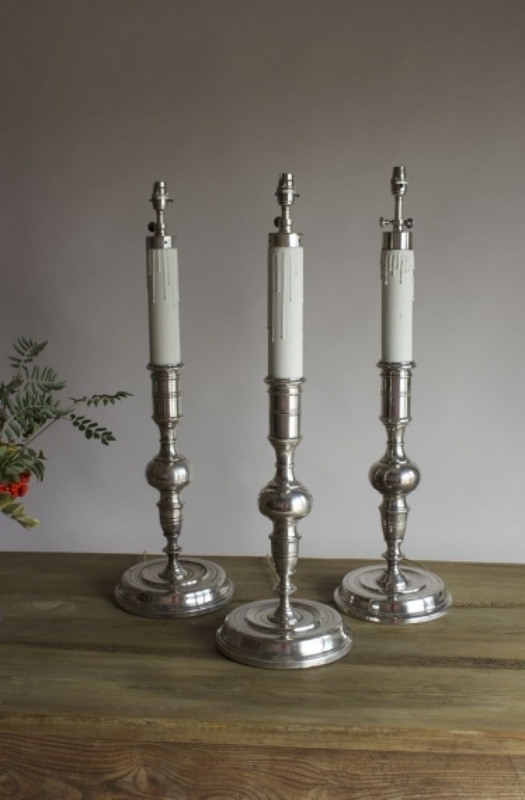 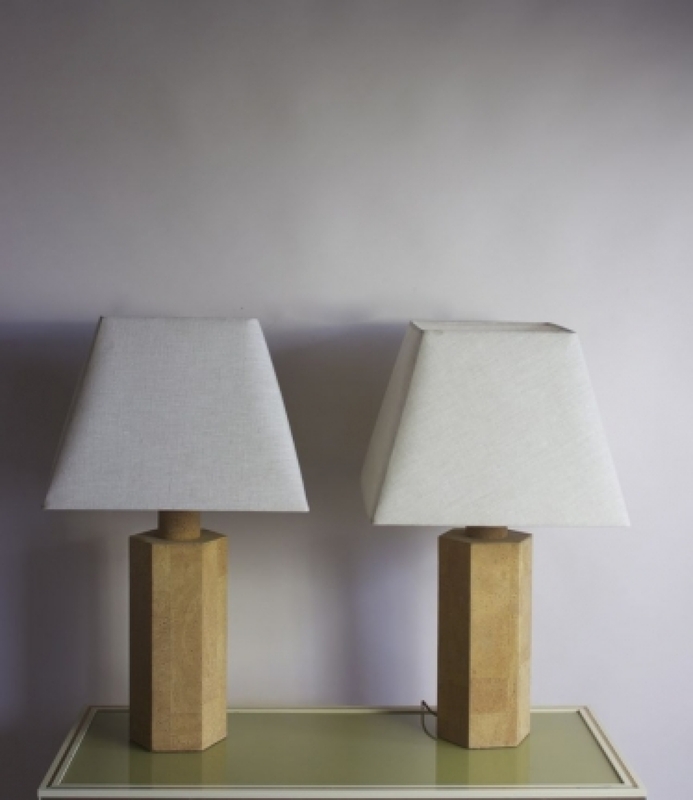 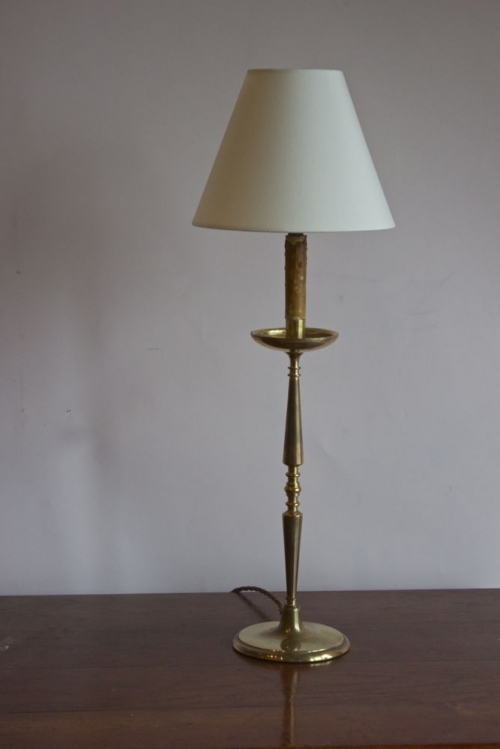 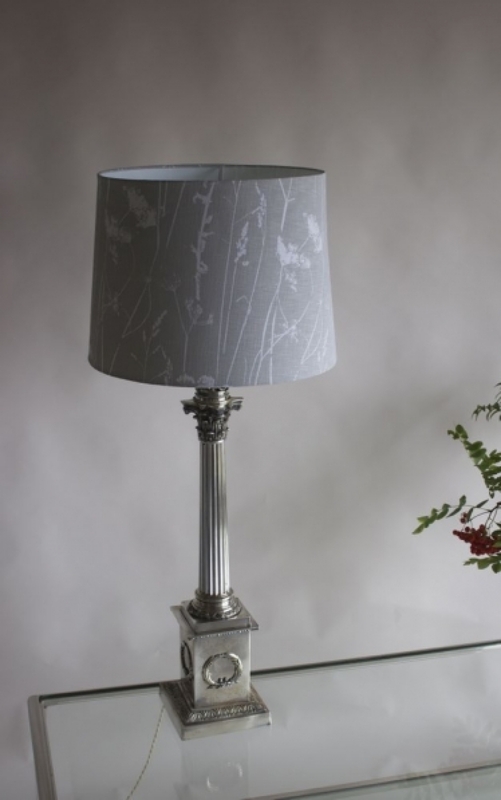 Other lamps are metal- either brass or silver plated, these can be Spanish ( a good source of lamps ) or French and vary in size from bedsides and mantelpiece lamps to larger and more imposing items . 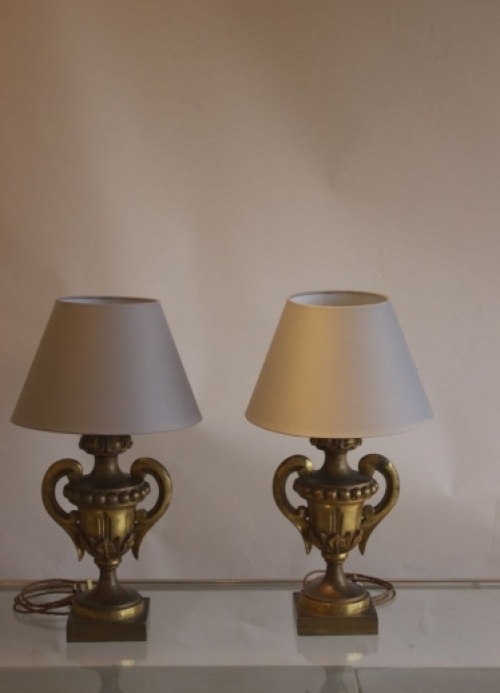 Gilt wood and painted wood lamps also are popular and we sell glass and Murano items when we can find them , all lamps are rewired and tested . 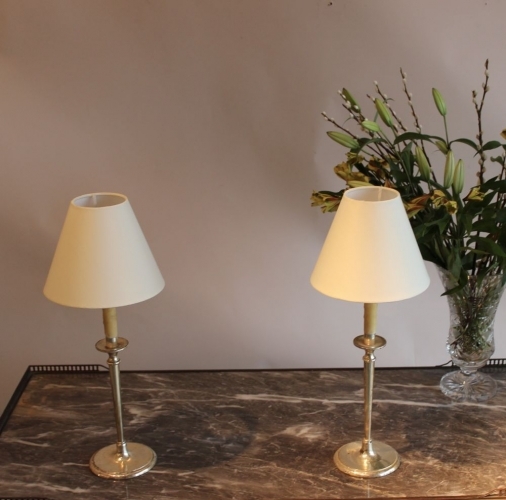 Getting the right size shade is always difficult and we will often spend an hour or two on even the cheapest pair of lamps to ensure the shades are the correct size .